Opera house is a city’s most prized gem. From New York to Sydney, Opera Houses are landmarks of many great cities. They are not only known for their extravaganza of music and other arts, but also their architectural opulence. They demonstrate the world that the city had achieved a high level of culture, power and wealth. In addition to providing a highly memorable theatrical experience, they attract millions of tourists from all corners of the world. Here is a list of top 10 most amazing Opera Houses designed by some of history’s most respected architects. Who would expect an opera house in a thick forest? But the Amazon Theatre in Manaus is located in the heart of Amazon Rainforests. Opened in 1896 during the period of rubber boom, it was designed by the Italian architect Celestial Sacardim. Many parts of the building were imported from Europe. The auditorium can seat about 700. Various artworks adorn the building, mostly by European artists. An icon of the city of Naples, the San Carlo opera house is currently the oldest functional opera house in the world. It was designed by Giovanni Antonio Medrano and Angelo Carasale and was opened in 1737. It has undergone renovation various times since then, altering its appearance. One time, the concert hall, shaped like a horse-shoe, could occupy around 3000. Now it can only seat about 1,400. Nevertheless, it is still a majestic piece of architecture and hosts numerous events. Opened in 1778, the La scala opera is one of the most amazing opera houses in the world. The building suffered heavy damages during Second World War but was rebuilt in 1946. The concert hall can accommodate more than two thousand spectators. The concave channel under the floor of concert hall provides outstanding acoustic experience. The Scala theatre museum in the opera house displays numerous artefacts that shed light into the history of Italian opera. There is also an associated academy that provides training in music and dance. The city of music has also its grand opera house. Popularly known as the Staatsoper, the Vienna State Opera House was opened in 1869. It was designed by architects Eduard van der Nüll and August Sicard von Sicardsburg. This red-and-gold building is embellished with sculptures, paintings and frescoes. The building was damaged during the Second World War, and was restored in 1955. The auditorium can seat about 2,300 spectators. It is now one of the busiest opera houses in the world. This opera house located in the Argentinean capital is one of the best and most amazing opera houses in Latin America. The current building was opened in 1908, although its history traces back to mid 19th century. Shaped like a horse shoe and a blend of many architectural styles, the opera house can seat around 2,500. It used to be the largest of its kind for a brief period of time. The paintings of Argentinean artist Raul Soldi adorn the ceiling of the concert hall, which is known for its perfect acoustics. Located in Westminster, the Royal Opera House is the biggest of its kind in Britain. Originally built in 1732, the building had to be renovated a couple of times after damages from fire. The main building is known as Covent Garden, which has a seating capacity of around 2,300. Paul Hamlyn Hall and Linbury Studio Theatre are other major facilities. Apart from operas, the theatre also hosts functions like film awards. The Bolshoi Theatre is a landmark of the Russian capital. It started as a small brick building in 1794. The current structure was designed by Andrei Mikhailov and was opened in 1825. It has undergone various renovation projects since then. The theatre is mainly used to stage the performances of The Bolshoi Ballet and Bolshoi Opera, which are among the oldest and most popular ballet and opera companies in the world. Many of the renowned operas had had their premiere here. The building itself is an epitome of classical architecture. The facade of the theatre is featured in the Russian 100-ruble banknote. Opened in 1966, the Metropolitan Opera House at situated at Lincoln Center in New York City. Designed by architect Wallace K. Harrison, the major hall of the building can seat nearly four thousand. 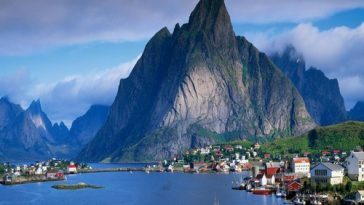 It is one of the most attractive tourist destinations in the city. The opera house hosts numerous operas, both classical and innovative, and is known for its amazing acoustics and perfect sightlines. The sculpture and artworks that adorn the building add to the beauty of the architecture. 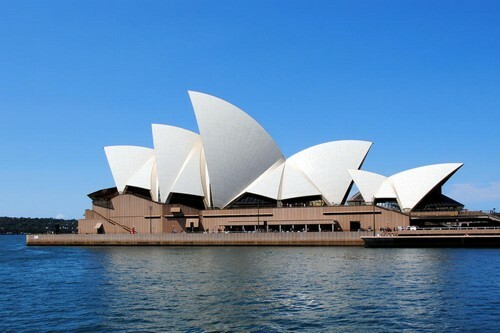 Perhaps the most renowned opera house across the world, the Sydney Opera House is a UNESCO World Heritage site. Designed by Danish architect Jorn Utzon, it was opened in October 1973. Located overlooking the Sydney Harbour, its design, resembling a sail ship, has acquired a unique place in architecture history. Every year, the opera house hosts more than a thousand events and attracts about seven million tourists. The major venue is the Concert Hall, which houses the largest mechanical tracker-action organ in the world. Joan Sutherland Theatre and Drama Theatre are other important parts of the building. The Palais Garnier is a symbol of Paris, just like the Notre Dame Cathedral, the Louvre, and the Eiffel Tower. The opera house that can host almost two thousand people was opened in 1875 for the Paris Opera. It was designed by architect Charles Garnier. Its original name was Salle des Capucines. Constructed in the Beaux-Arts style, it is an architectural extravaganza. However, despite its architectural beauty, the opera house is notorious for offering poor sightlines. The building also houses the Paris Opera Library-Museum. It is immortalised in the novel The Phantom of the Opera by Gaston Leroux.